Submitted by harumscarum on Wed, 2012-02-22 04:28.
thank you very much for many data format options! Submitted by fajar on Wed, 2012-02-22 00:48. Submitted by Jordan Walsh on Tue, 2012-02-21 19:05. Submitted by fajar on Tue, 2012-02-21 18:57. @jordan,: can you make it compatible with max 9 too, please. Im glad you find it useful. Im accessing the thumbnails that max creates for the recent file list so there are no available thumbnails for other files. I have no plans to implement any other method of retrieving thumbnails at the moment, sorry! 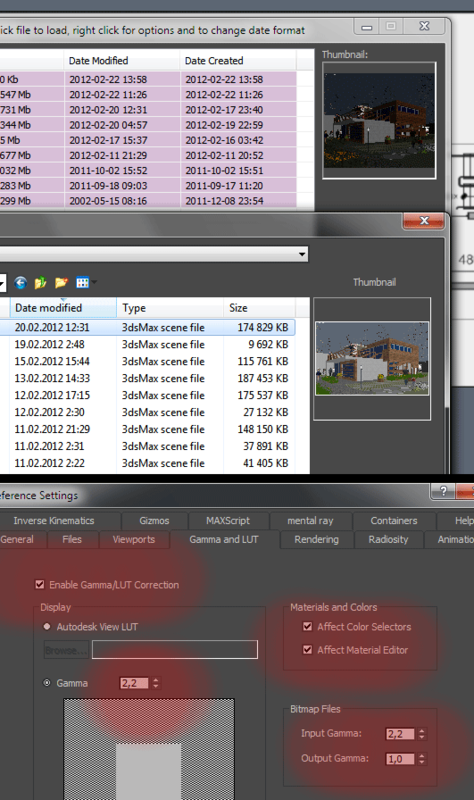 Can you tell me your settings in the "Gamma and LUT" tab of your preference tab so I can fix this. Thanks. Ill see what can be done. EDIT: Done in version 1.30... let me know if this works ok. Submitted by Anubis on Sun, 2012-02-19 20:44. I was try to contact you via PM but looks like you're disable PM's, so will post here. Well, did you try my version (Load AutoBackup File)? Submitted by harumscarum on Sat, 2012-02-18 07:20. 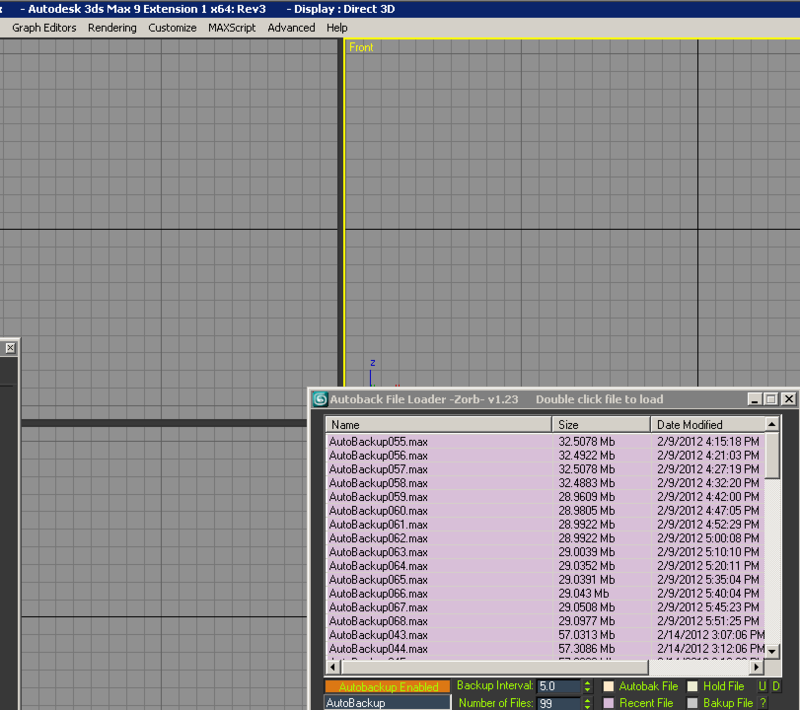 Submitted by harumscarum on Sat, 2010-04-24 02:56.
any chance to have 24 hour date format in script interface? Submitted by D.R. on Fri, 2009-10-23 06:02. Do have any idea what is happening. Submitted by Jordan Walsh on Thu, 2009-10-08 20:26. Thumbnail support in 2010 only, so there wont be any ">" in 2009.